Under the guidance of community artist Kathleen Crocetti, about 40 members are creating mosaic tiles for the mural, which hanga on the wall of the facility’s first floor. 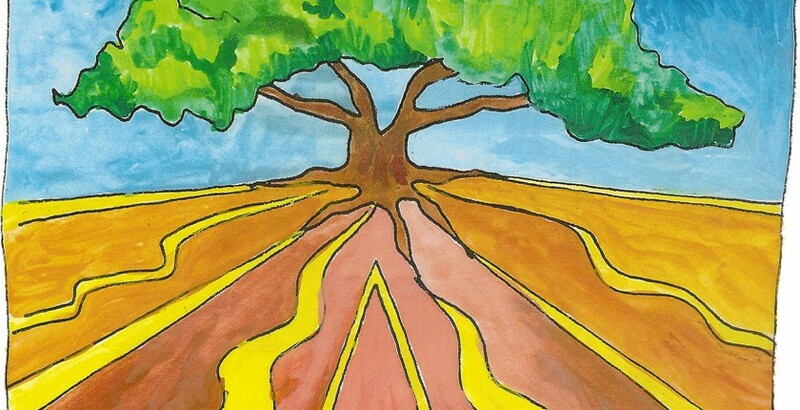 Members selected the final design for the mural, which depicts an oak tree with strong roots. Jennifer Sherry, unit director for the Shoreline club that will transition into the Live Oak Clubhouse, said the final look of the mural represents a community identity. “They wanted to select an image that reflected the neighborhood,” she said. Twenty-four drawings were submitted to the Board of Directors, which narrowed the choices to four. After the members picked the final design, volunteers traced the drawing to full scale on the wall before getting components of the mosaic in place.